If you had the opportunity of warning your significant other prior pms'ing would you? Well, now you can! Seriously. Pms buddy is a free online menstrual tracker that will send alerts to your other half sending warnings of mood swings, aggression, tearfulness, and obsessiveness with chocolate. Not only do they send words of warning-they advise and counsel as well. The website reads-"When all else fails, flowers will always do the trick. 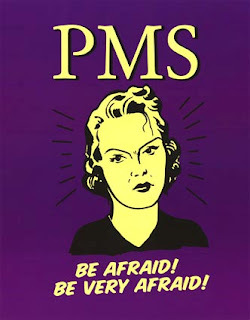 They are kryptonite to PMS". That is a great suggestion! Now, if we can get our men to adhere to it. Check it out. I find it completely comical. oh that's great. i'll have to pass it along to the hubby.